NEW YORK – March 12, 2015 – Syfy announced today that the widely praised adventure thriller 12 Monkeys has been greenlit for a second season, expected to air in 2016. With Natalie Chaidez prepping her next Syfy series (UCP and Valhalla Productions’Hunters), Terry Matalas and Travis Fickett (Nikita), co-executive producers and writers of the pilot, will be stepping up to serve as EP/Showrunners. Atlas Entertainment’s Richard Suckle (Suicide Squad, American Hustle, The International) and Charles Roven (Suicide Squad, Batman v. Superman: Dawn of Justice, American Hustle) will continue to executive produce with Atlas’ Jake Kurily producing. Roven served as producer on the original film. Currently in its first season, 12 Monkeys has reached 15 million viewers to date, and is experiencing record L3 lifts for the network (average L3 lift is 104%). The renewal also comes as the series continues to gain momentum, with its most recent episode (Friday, March 6) seeing an increase of 6% over the prior four weeks, with 1.5 million total viewers. 12 Monkeys stars Aaron Stanford (Nikita, X-Men: The Last Stand, X2), Amanda Schull (Suits, Center Stage) and Kirk Acevedo (Fringe, Oz, Dawn of the Planet of the Apes). In this Friday’s episode* – the ninth in the 13-part first season – Cole (Aaron Stanford) finds himself in 2017 at the height of the plague. Out of options, Jones (Barbara Sukowa) faces an impossible choice to replace the Core. 12 Monkeys airs Fridays at 9PM ET/PT; the season one finale will air Friday, April 10. Universal Cable Productions (UCP) creates innovative and critically acclaimed original scripted and digital content across media platforms for domestic and international distribution. UCP’s content library spans classics such as Emmy-award winning, “Monk,” and critic and fan favorites “Psych,” “Battlestar Galactica,” and “Warehouse 13.” In the U.S., UCP’s programming can be seen across various networks, including: “Dig,” “Playing House,” “Royal Pains,” “Satisfaction” and “Suits” on USA Network; “Ascension,” “Defiance,” “Dominion,” and “12 Monkeys” on Syfy; “Girlfriends’ Guide To Divorce” on Bravo; “Difficult People” on Hulu; “Battlestar Galactica: Blood & Chrome” on Machinima Prime/YouTube, Syfy and DVD/Blu-Ray; and “Side Effects” on Awesomeness TV/YouTube. Universal Cable Productions is a part of NBCUniversal Cable Entertainment, a division of NBCUniversal, one of the world's leading media and entertainment companies. Follow us @UCPisTV. Atlas Entertainment, led by founder Charles Roven, produces blockbuster films as well as critically acclaimed features. Atlas Entertainment’s films have generated billions of dollars in revenues. Atlas is currently in pre-production on Warner Bros. Pictures new action adventure Suicide Squad. Writer and director David Ayer is bringing the DC Comics’ super villain team to the big screen, and the all-star cast includes Will Smith, Margot Robbie, Jared Leto, Jai Courtney, Joel Kinnaman, Cara Delevingne, and Viola Davis. Additionally, in pre-production is Zhang Yimou’s first English-language film The Great Wall from Legendary Pictures and Universal, which is slated for release November 23, 2016. Atlas is in post-production on the highly anticipated feature film Batman v Superman: Dawn of Justice for Warner Bros. directed by Zack Snyder set for release on March 25, 2016, as well as on Duncan Jones’ Warcraft from Legendary Pictures and Universal Pictures with a March 11, 2016 release. Atlas also produced The Dark Knight Trilogy and Man Of Steel for Warner Bros. Pictures and DC Comics. 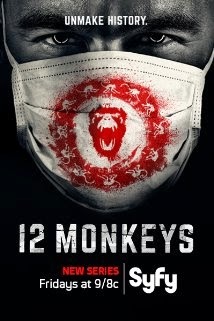 For television, Atlas Entertainment is currently airing Season One of the SYFY series 12 Monkeys, a drama based on the 1995 Universal Pictures film directed by Terry Gilliam and produced by Atlas Entertainment’s Charles Roven. The Atlas team most recently collaborated with David O. Russell on the critically acclaimed box office hit American Hustle which has grossed more than 250 million dollars in worldwide box-office. Among its many accolades, the film won three BAFTA awards, was nominated for 10 Academy Awards® including a Best Picture nomination for Atlas’ producers Charles Roven and Richard Suckle. It also received seven Golden Globe® nominations, winning three including Best Motion Picture – Comedy or Musical.